The documents linked on this page were made available by GGOS or the authors. With question, comments, or for conditions of use contact the GGOS Coordinating Office or the respective authors. 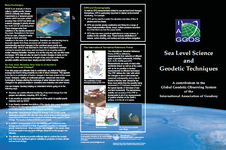 Plag, H.-P., Rothacher, M., Pearlman, M., Neilan, R., Ma, C., 2009: The Global Geodetic Observing System. Advances in Geoscience, in press (pdf). Plag, H.-P., and the AR-07-03 Task Team, 2007: Global Geodetic Reference Frames. In The Geosecretariat (ed. ): The first 100 Steps of GEOSS, GEO Secretariat, Geneva, 34-35 (available at http://www.earthobservations.org/ or locally as pdf).